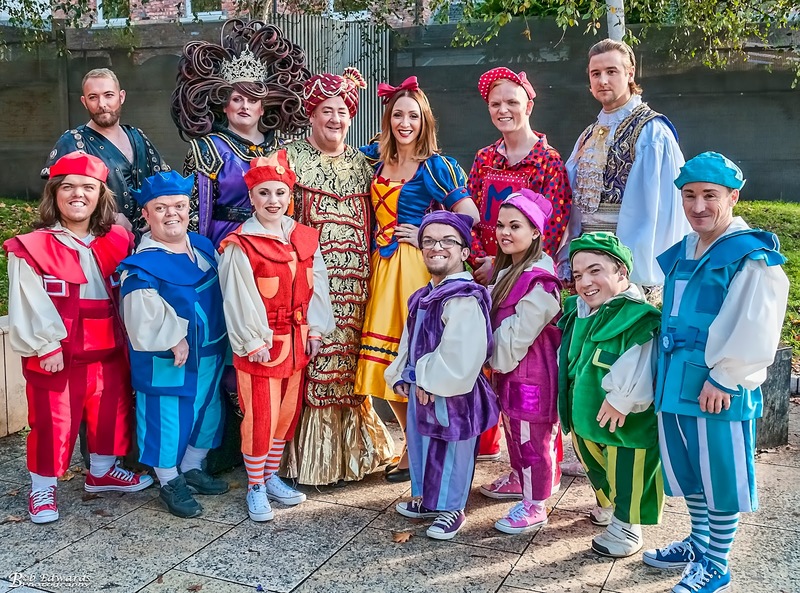 Heigh ho, heigh ho, it's off to St Helens Theatre Royal we go as Regal Entertainments returns for Christmas 2017 with Snow White and the Seven Dwarfs - a fun filled show for the whole family. 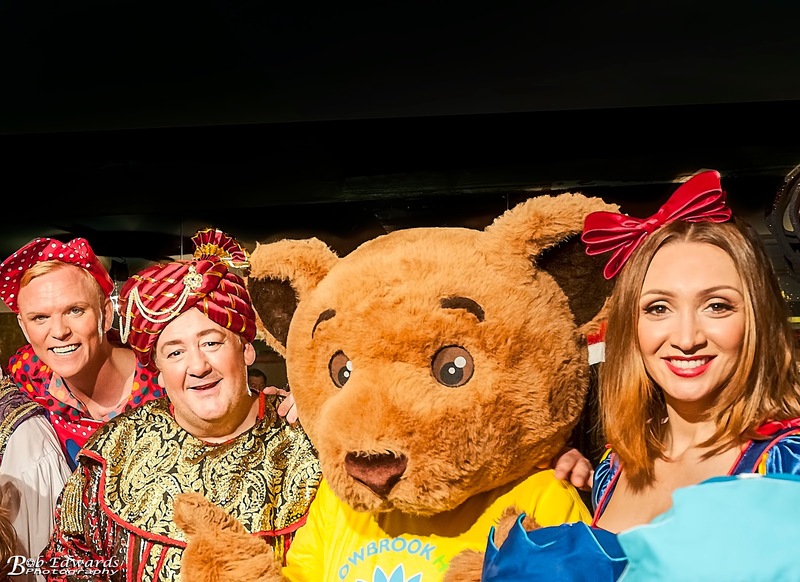 Regal Entertainments have an all-star cast for its Christmas pantomime Snow White and the Seven Dwarfs, which includes home-grown comedy legend Johnny Vegas. A whole host of new names will be joining Johnny and the recently announced Lucy-Jo Hudson at St Helens Theatre Royal this festive season. 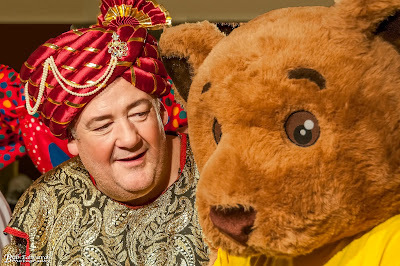 With over fifteen years of gracing the nation’s television screens, including as Geoff ‘The Oracle’ on ITV’s Benidorm, Johnny will appear - as if by magic, every performance as the Magic Mirror to reveal who is the fairest of them all! 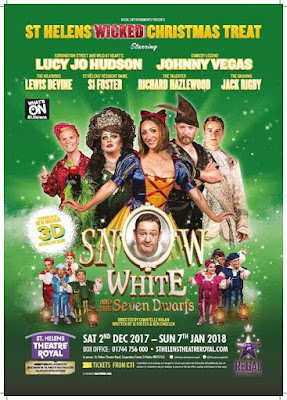 Starring as the fairest beauty of them all, Snow White, will be Wild at Heart and Coronation Street actress Lucy Jo Hudson. Lucy also recently competed in the ITV show Dance, Dance, Dance reaching the final, and has just won Villain of the Year at the 2017 British Soap Awards for her performance in BBC1 soap Doctors. 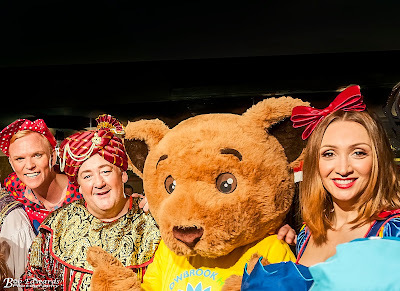 Every panto needs a handsome hero and this year that will be LIPA graduate Jack Rigby who is sure to break a heart or two as the Prince. After wowing audiences with his performance in Easter panto Beauty and The Beast, Richard Hazlewood is back as Herman the Henchman and providing lots of jovial hilarity will be Lewis Devine as Muddles. St Helens Theatre Royal resident Dame Simon Foster returns to take on the role of the Wicked Queen and is certain to get audiences rolling in the aisles with his usual comedy antics, when they aren’t booing him that is! 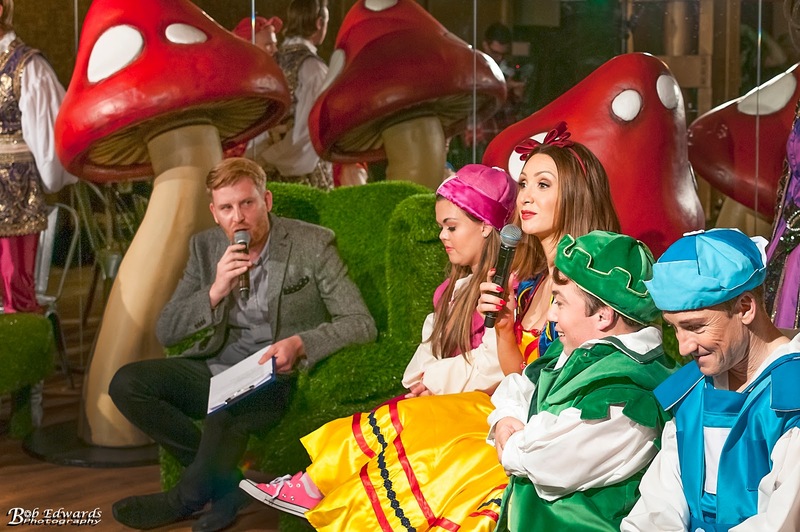 Completing the all-star cast is the addition of seven real life dwarfs including mother and son Harry Potter actors Josh Bennett and Sarah Bennett, Danny Blackner who appeared in box office hits Star Wars IV - Return of The Jedi, Labyrinth and Muppet Treasure Island, Lucy Blenkiron, Charlotte Lyons, Jay Lusted who appeared in the BBC One Wales documentary Born Small: The Wedding and finally, Peter Sumper. This year, for the first time ever on the Theatre Royal stage, sees the introduction of an all new magical 3-D interactive scene. The action will jump right off the stage and is guaranteed to leave audiences amazed. 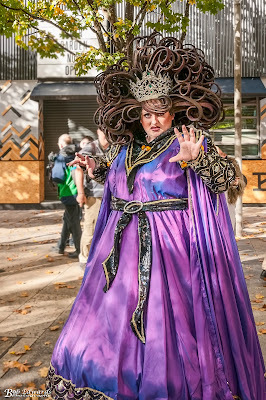 With real life dwarfs, magic mirrors, wicked queens and poisoned apples aplenty, you can expect all the slapstick comedy capers you have come to know and love from all Regal Entertainments’ pantos. So be sure to book early and enjoy one the world’s best fairy tale classics this festive season.